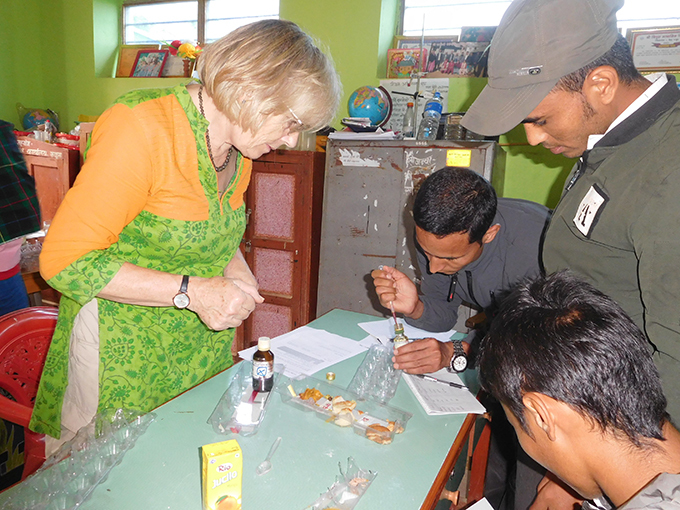 To help science teachers develop their practical teaching skills, UMN recently organised 'The Practical Science Training' for 12 teachers from 12 different government schools in Salley, Rukum. The teachers were shown how to perform simple experiments using low cost, local materials wherever possible and they shared their ideas with each other. The participants also learnt how to write their own lesson plans and ways to keep students safe. The teachers shared they were motivated and encouraged by the training to do more practical science experiments with their students.